Graphic Design for Architects is a handbook of techniques, explanations and examples of graphic design most relevant to architects. The book covers a variety of scales of graphic design, everything from portfolio design and competition boards, to signage and building super-graphics - to address every phase of architectural production. This book combines and expands on information typically found in graphic design, information design, and architectural graphics books. As architectural communication increases to include more territory and components of a project, it is important for designers to be knowledgeable about the various ways in which to communicate visually. For instance, signage should be designed as part of the process - not something added at the end of a project; and the portfolio is a manifestation of how the designer works, not just an application to sell a design sensibility. 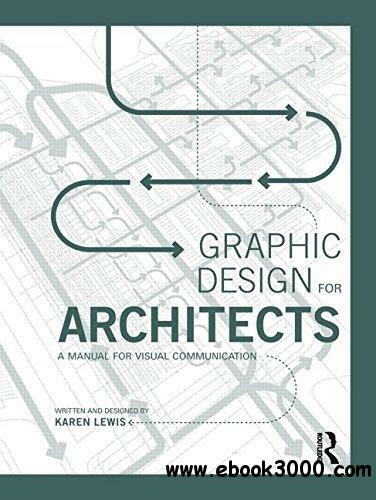 In thinking about architecture as a systematic and visual project, the graphic design techniques outlined in this book will help architects process, organize and structure their work through the lens of visual communication. Each chapter is titled and organized by common architectural modes of communication and production. The chapters speak to architects by directly addressing projects and topics relevant to their work, while the information inside each chapter presents graphic design methods to achieve the architects' work. In this way, readers don't have to search through graphic design books to figure out what's relevant to them - this book provides a complete reference of graphic techniques and methods most useful to architects in getting their work done.